Great news from eMetrics San Jose! Yesterday Brett Crosby took the stage and announced several enhancements to the Google Analytics product set. We will post a review on each of the new features as they become available but here is a synopsis! Introduction of the Google Analytics Applications Gallery. 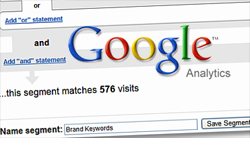 Browse the available applications that enhance the Google Analytic product. One of our favorites for keyword trees is Analytics Visualizations from Juice Analytics. New Adwords reports available within Google Analytics, including extra Adwords dimensions, day part reporting, placement reports, actual search queries. Brett also informed everyone that search funnel reporting is now live within Adwords! We’re very excited about this new feature that will show the true value of Adwords ads by reporting whether an ad has been viewed (as opposed to clicked) on the way to a purchase. For the real techno-geeks out there, Adwords Ad ID information will now be accessible via the Google Analytics API. This makes more valuable reporting easily accessible. My concern is that you PAY for this data using the Adwords API and my-spidey sense tells me that at some point in the near future Google should expect to see similar charges for the same data through the Analytics API. I hope I’m wrong! Last, but by no means least, Google officially launched the asynchronous tracking code. The benefit of this version of the code is more accurate data collection and a faster loading page. Google is pushing everyone to migrate to the asynch version as soon as possible! 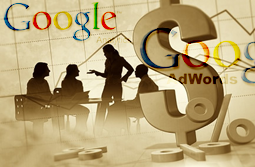 For the lay-person, all this extra functionality means that Google Analytics and Adwords are able to report more valuable decision making information to you so that you can maximize your advertising effectiveness and therefore your return. Its all about ‘Data Driven Decisions’!